Do you know how you will decorate your Christmas table? I like to use candle, they add a cozy ambiance and give a festive touch. Since we gonna have little kids around I prefer to use LED tealight, much safer! 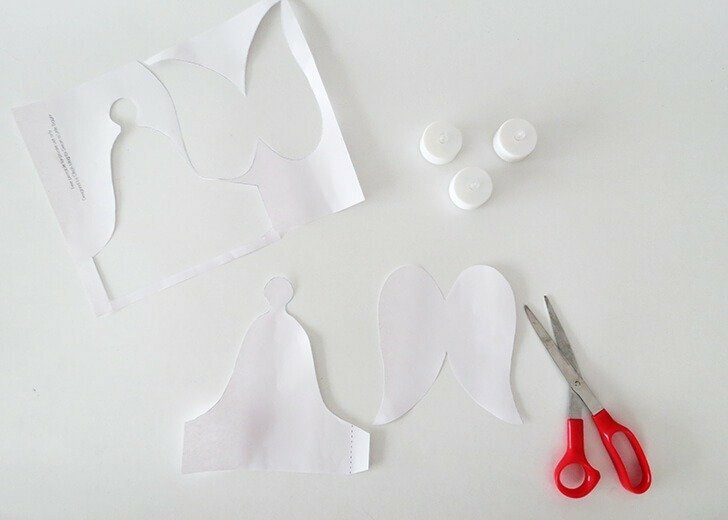 I will show you how to make pretty and easy paper angel votive. 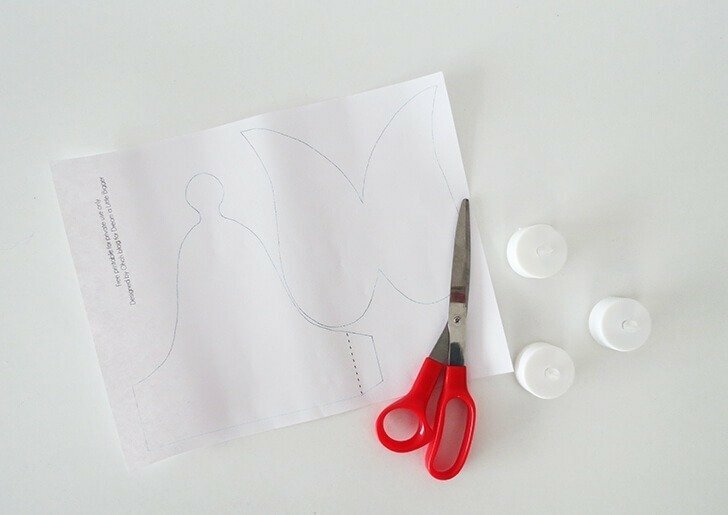 You basically just need to print the free template, cute and glue the pieces together. 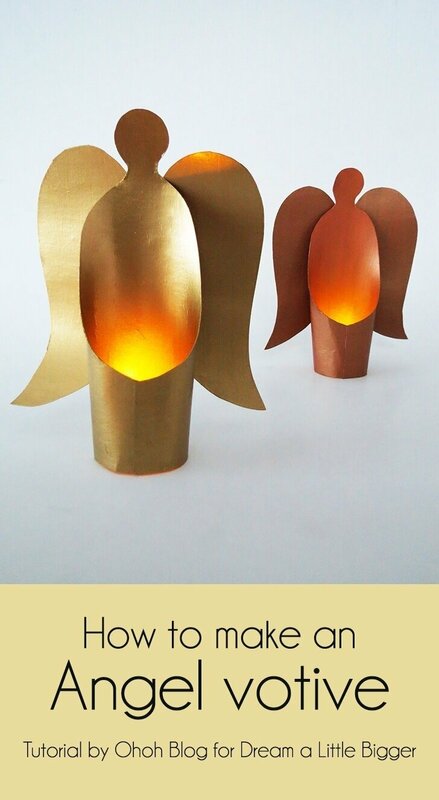 In the second part of the tutorial, you will learn how to make gold angel with a cardboard sheet. Cute the angel body and the wings along the lines. 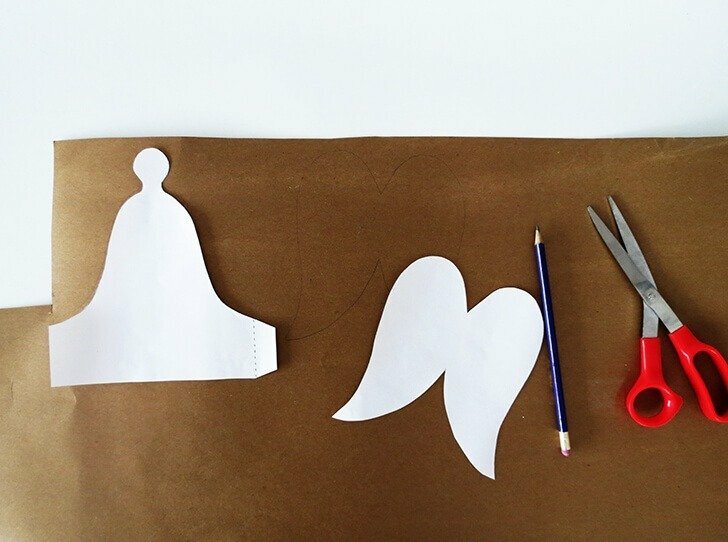 Wrap the angel body on itself, put some glue on the flap and fix the ends together. 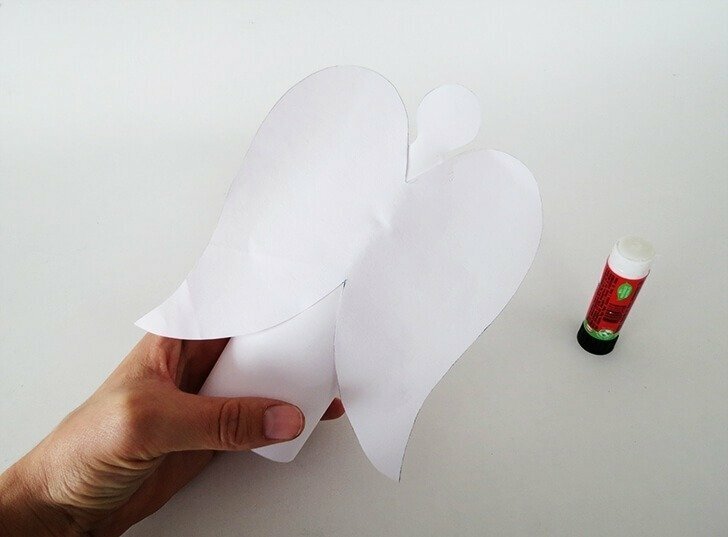 Put a line of glue in the middle of the wings, and fix them on the back of the angel body. And done! As you see it’s very easy. You can use any color paper you like to match your holiday decor. 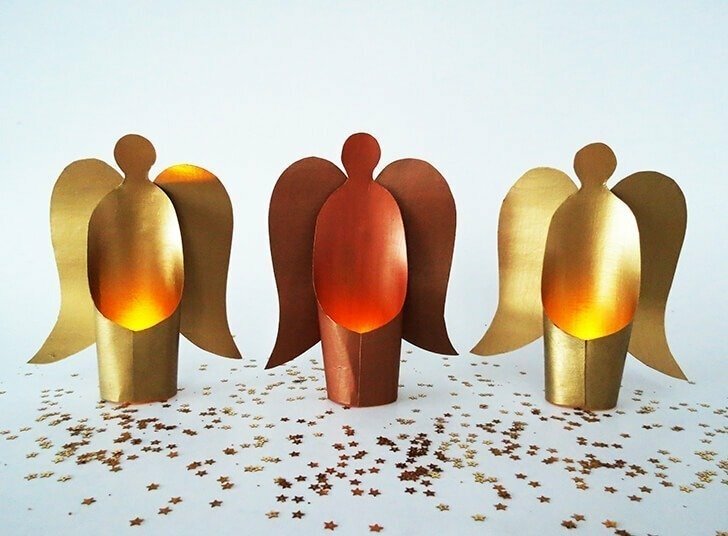 If you want to add a little sparkle at the angel votive, you can make some in gold and copper. 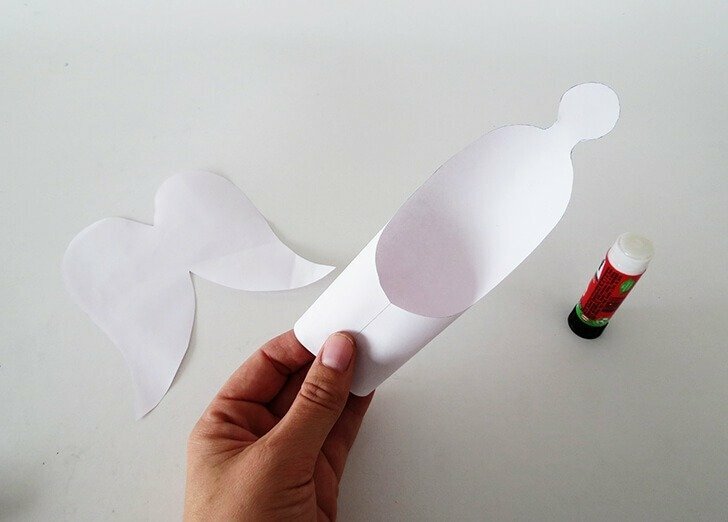 Just report the shapes on a thin cardboard sheet and cut them out. 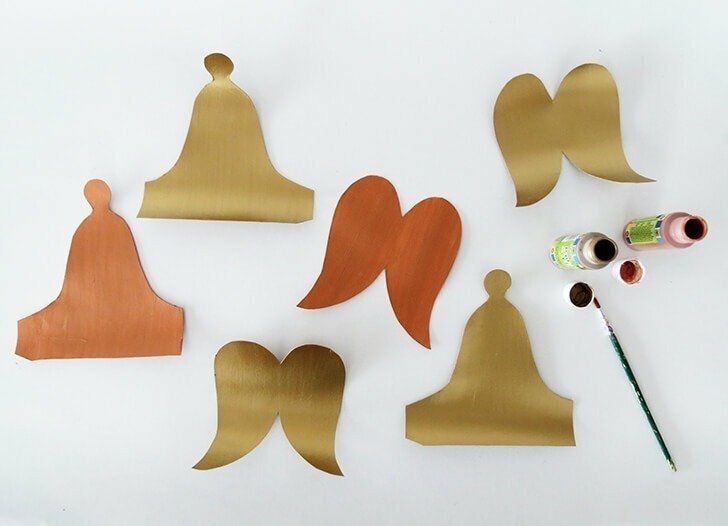 Paint both side of every shape in gold or copper. Once the paint is dry, assemble the angels as shown above. 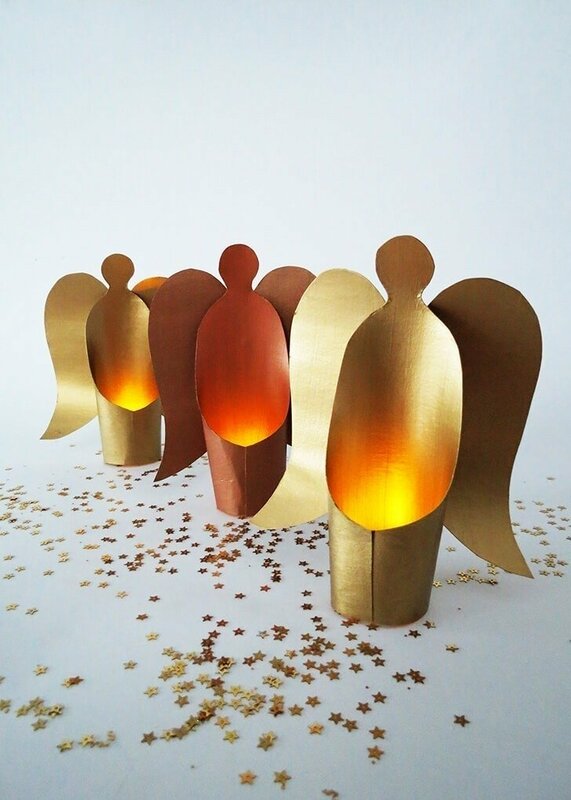 Put a LED tealight in the angel and enjoy! The gold and copper colors reflects the light beautifully. If you want, you can add some glitter and stars on your table to complement the decor. If you like paper craft, you can have a look at my little winter town. 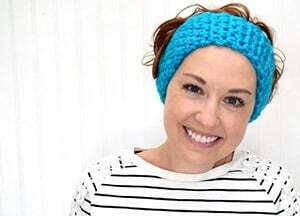 Very pretty and very easy. Thank you. Lovely. Very Easy. Thank you!